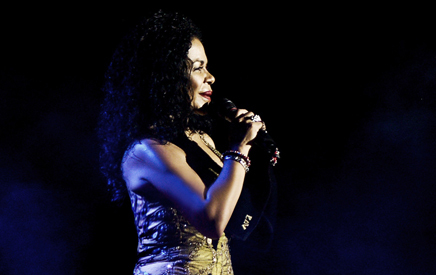 A peruvian singer with a powerful voice, commanding stage presence, and versatile flair for many music styles, Eva Ayllón began performing in Peruvian peñas (nightclubs) in the 1970s. By the 1980s, she had produced popular recordings and collaborated with established Peruvian groups such as Los Kipus. In 1989, her performance as lead vocalist with Alex Acuña’s Los Angeles-based Peruvian jazz band Los Hijos del Sol sealed her status as a Peruvian national star. Many would agree that, by the 1990s, she had become Peru’s most popular living singer of both musica criolla and Afro-Peruvian styles, with several platinum records and an adoring mass of Peruvian fans around the world. 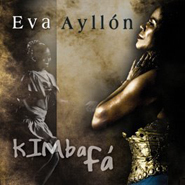 In 2003, Eva Ayllón gamered two Latin Grammy nominations in the “Best Folk Album” category. Eva released her first U.S. album, Eva! Leyenda Peruana, on Times Square Records in 2004. Since then, her musical presence continues to expand boundaries. In her commitment to broaden the awareness of afro-Peruvian culture, Eva changed her residence from Lima, Peru to New Jersey in 2005. And since then, she and her group have been touring across Europe, North America and Latin America extensively. In 2008 she sold out the house in Carnegie Hall, reputedly the first Peruvian singer since diva Yma Sumac (in the 1950s) to perform at the prestigious U.S. venue.